Leo Cherish Store, where ice-scream devotees belong to. If you are one of theme, let come here with us! Continue with a brainchild in Prestashop 1.7 theme, Leo Cherish Store owns full-functions of a Prestashop theme version 1.7. Its responsiveness makes it possible to be nicely displayed and completely adjustable on any devices like desktop, computer, tablet, and mobile phone. 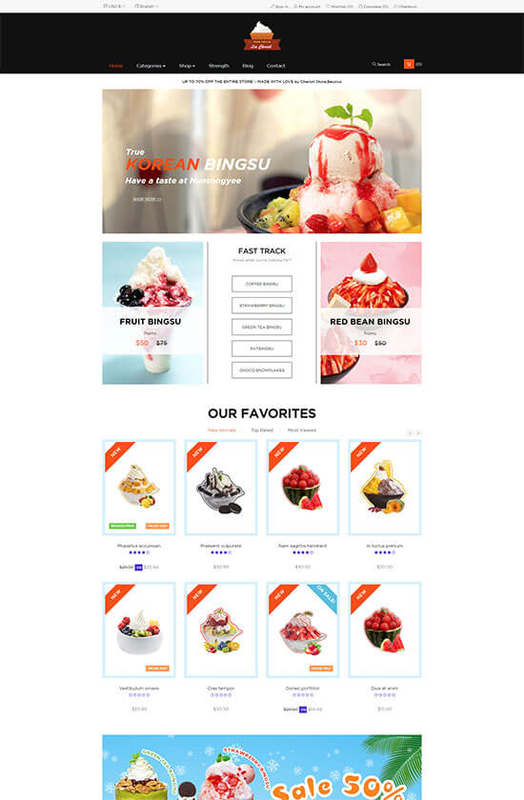 It is suitable for any e-commerce store like food store, fast food store, beverage store, etc, and specially designed for ice-scream store. Leo Cherish Store with a bright background and neat layout will emphasize your products. The wide slide, banner, and header leave place for your hot trend product or promotion event, which will attract your customer right at the first sight. 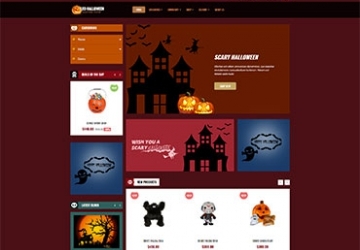 Importantly, Leo Cherish Store is built with the best Prestashop Framework and Module Ap Page Builder. What definitely strikes you is the Widget Block Link. You can set this Block Link at any place in the layout of the homepage. This supports you to create link to other pages like product pages, blog page, etc dramatically. What is more, in product part, Widget tab is used, which helps you create many product categories right at the home page. Also, it combines with product show in Carousel style, some wonderful features like Animation, Swipe to bring you a smooth sense. Last but not least, some essential features of a Prestashop 1.7 theme are still remained in Leo Cherish Store. Some that must be mentioned are Css3, Html 5, RTL language layout and Bootstrap 4 Framework supported. 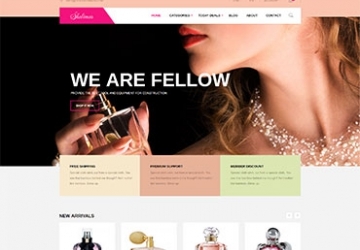 For this reason, Leo Cherish Store helps to create refined web page with semantic accuracy and effortlessly custom-making. The authoritative admin panel sure will help you manage your site better and customize with ease. 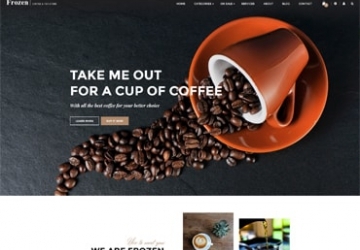 The Leo Cherish Store Responsive Prestashop Theme for diversified commodities.